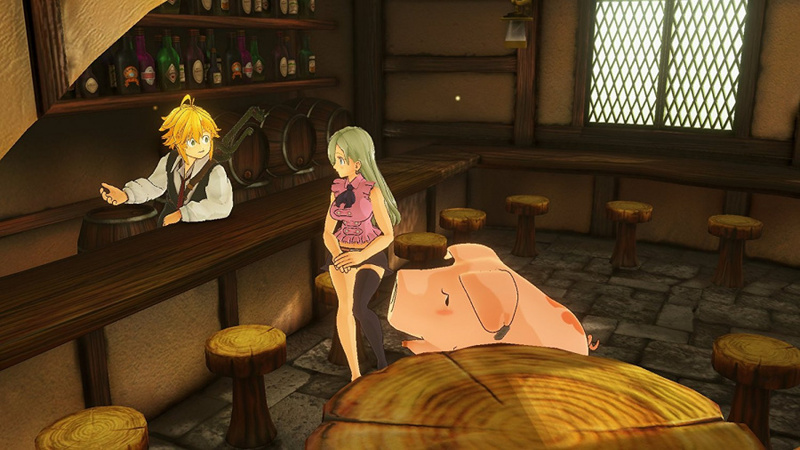 The Seven Deadly Sins: Knights of Britannia is the first console adaptation of The Seven Deadly Sins anime. Published by Bandai Namco and developed by Natsume Atari, Knights of Britannia is a fighting game at its core which follows the plot of the hit anime. The game has two modes: Adventure Mode and Duel Mode, which pretty much do what they say on the tin. Adventure Mode is where you’ll play the story of the game, and Duel Mode is where you can simply battle either against CPUs or other people using local and online modes. Playing through Adventure Mode unlocks more characters and arenas for Duel Mode as you venture into new towns, recruit members to your cause, and fight new opponents. Adventure Mode follows the story of the anime, which for those who aren't familiar with the source material centres around Elizabeth, a princess who seeks the help of the legendary Seven Deadly Sins to defeat the Holy Knights and liberate her kingdom of Liones. She ventures across Liones to recruit the Sins to her cause, and is swiftly met by Meliodas, the Dragon Sin of Wrath, and his pig companion Hawk, and the trio embark on their quest to reunite the rest of the Sins. Liones is split into several parts, and you’ll have to do quests to unlock the gates and venture into the next area. Each area in Liones has a gossip level, which you need to raise to unlock other quests. You do this by scoring highly in battles and essentially destroying the stage to earn as many points as possible. This is an interesting dynamic, which sadly feels like it’s very underdeveloped. It’s not really a struggle to earn gossip points, or to move on from each area, so you can progress through doing the bare minimum. The whole game feels very formulaic as you reach new towns and battle grunts to unlock new areas. 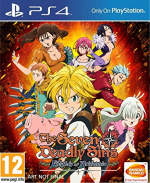 Adding each member of the Seven Deadly Sins doesn’t give much variety other than the battling styles of those characters. The most exploration you have is walking from one map marker to another; there’s no opportunity to properly explore the world of Liones which leaves things feeling stale. The art style of the game is appealing, with its cel-shaded characters. Everything looks just as it does in the anime. However, battle stages do suffer from some framerate issues, especially if you destroy too much of the environment in one go. What's more, cameras are particularly disobedient, and locking onto an enemy accurately seems at times nigh-on impossible. The characters don’t really riff off each other as well as they do in the anime either, and so none of the humour from the show is forthcoming. It’s really disappointing, and dialogue seems like an afterthought to pad out the game between its endless battle scenes. Unlocking new skills for characters is done by working through a grid with power-ups and items on it. You pay items and money for each section of the grid you want to unlock, and then equip these to your characters. The whole process is slow. It can take a while to unlock the quests that reward the required items, and on the face of it seems like a simple system, but proves to be tedious and slow. You can equip each skill to multiple characters, which at first seems like an oversight, but given how long it takes to unlock each skill, it's probably a blessing. In all, Adventure Mode is very linear and repetitive. There’s no scope to go off and actually have an adventure. Battles become boring very quickly, especially early on where you only have a few characters unlocked. Once you do eventually unlock other characters, playing as the different Sins offers up something different at least, with each Sin boasting their own strengths and different powers. Some can take more getting used to than others, but once you’ve unlocked the characters you can always practice in Duel Mode if you don’t want to learn while you go in Adventure Mode. Attacks are split between light, heavy, and magic attacks, and combining these with R1 performs a special attack. You can fill a meter to eventually perform a special attack. Sadly, battling becomes stale quickly as there are no combo moves, so it’s more a case of spamming each button once you learn which moves work best against each enemy - it becomes tedious very quickly. You’ll also see little variation in quests as you’re given quest after quest to defeat a certain number of enemies within a time limit. 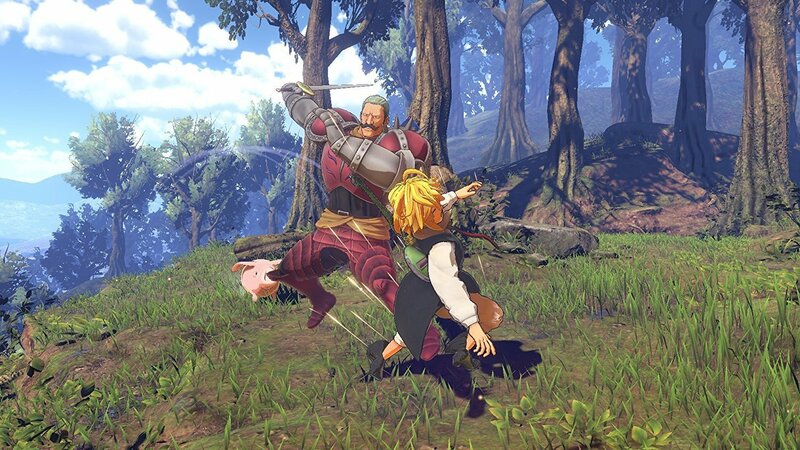 With such stellar source material, it’s a real shame that The Seven Deadly Sins: Knights of Britannia is so disappointing. What could have been an exciting, funny, and rich game has turned out to be a dull experience, offering nothing to players but repetition with little challenge. Jade has grown up on PlayStation, and spent far longer finding those pigeons, completing those jumps, and chasing those Trophies than she cares to admit. She's never happier than when she's in Junes, Hope's Peak, or collecting Wumpa Fruit. Really not surprised. 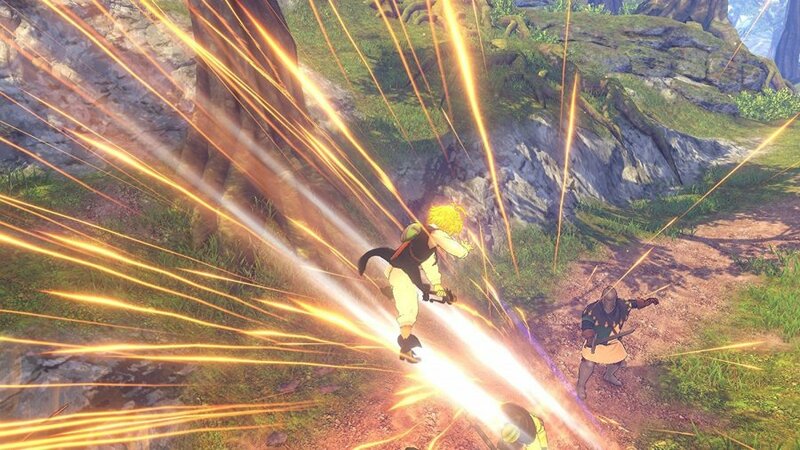 When I first saw the trailer, the game literally was basically J Stars 1.5, issues and all. People always told me that the devs spent all their budget on the story, but by the looks of it I highly doubt it. I mean, just look at those cutscenes! Of course, I guess this was expexted from the same people who gave us the "magnificent" Godzilla 2015 and those recent "memorable" harvest moon games (Light of hope.....anyone...?). Though as a fan myself, I'm still interested on getting the game but ONLY at a sale. And I just want to know that, despite the mixed reception the game got (expect this to happen with LWA), I really wonder if the team will still give us the season 2 update, considering they even announced it after release. It'll be pretty scumbagish if they make it Japan only. Has a fighting game ever had a good "adventure" mode or whatever they call it. Cus it always seemed like a cool idea just never played a very good one. Well it is a fighting game, I don't associate those with having deep or engrossing storylines. Plus they all get reptitive to me anyway, as there's only one gameplay element. I think the Adventure mode in these kinds of games are mainly there for the people who watch the series and movies, and really enjoy those, and want some kind reference, meaning and continuity in the fighting sequences. That's a shame but also expected, unfortunately. The series really has potential for a more ambitious game. That's too bad. This had potential. At least this game has reminded me I should get around to watching the anime. And after an Epic Episode Yesterday this game is an abomination to Seven Deadly Sins why don't this people give the game rights to competent companies to work on them. What's really sad (for me at least) is that the other upcoming anime-based games are really interesting. 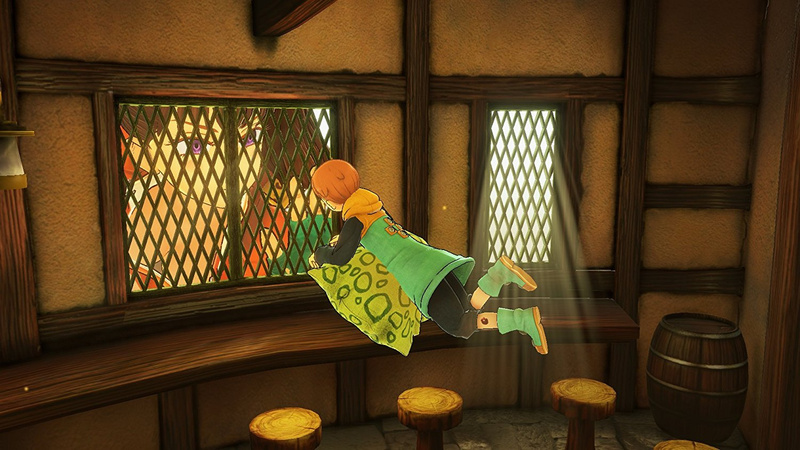 Like you have a competitive multiplayer RPG Naruto game, a third-person shooter RPG SAO game that actually lets you be your own character, a Vanillaware-style LWA game, and even a magic-based third-person shooter 4v4 BC game. However, when you hire developers who gave us such mediocrity like Godzilla and Asterisk War to make these games, then you know that the game won't be favorable to many people except for anime fans. The reason why DBFZ did so well is because: 1. It's Dragonball (duh) and 2. It was developed by ASW, one of the kings of 2D fighting games. I can appreciate Namco's effort on making more varied anime-based games, but if they don't hire people that are good with that specific genre, or even give them enough time to complete the final product, then these games will forever be below average. I like the anime, but I'm not paying £40-odd for this. I'm sure it'll be about £25 in a couple of months, so I'll just wait.